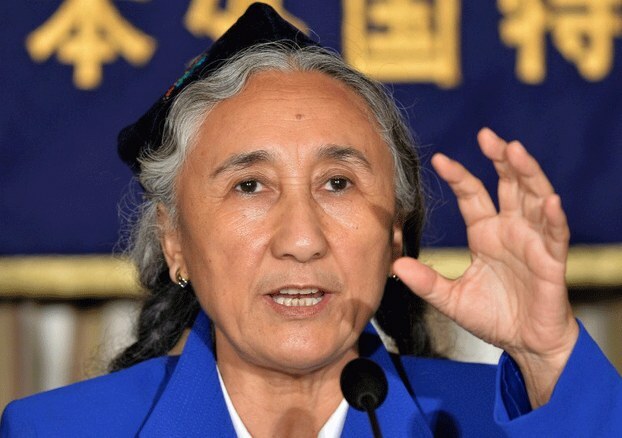 Days after Thailand deported more than 100 Uyghur refugees to what experts fear will be a grim fate in China, exiled Uyghur leader Rebiya Kadeer spoke to RFA's Uyghur Service on the significance of the expulsion. Many Uyghurs refer to Xinjiang as East Turkestan, as it had come under Chinese control following two short-lived East Turkestan republics in the 1930s and 1940s. She said that the exodus of Uyghurs to Thailand and other countries has been driven by ethnic discrimination, oppressive religious controls, poverty and joblessness. RFA: What do you want to say to the world about the deportation of Uyghurs from Thailand to China? Kadeer: It is time to rethink what kind of country and government (we) are dealing with. I have no doubt in my mind that this Thailand incident has exposed the very nature of Chinese policy towards Uyghurs that I have been trying to let the world know about for the last 10 years since I was freed from Chinese prison. What is their real policy that is not in their book? It is the fundamental distrust and ultimate destruction of Uyghurs as people. RFA: What do you think of Chinese state media reports that the Uyghurs were jihadists on the way to Syria and Iraq? Kadeer: We have to question the Chinese claims. What is the "crime" of Uyghurs who fled to Thailand for safety? Is it the illegal crossing of the border? The lack of means to obtain legal documents and the constant threat from authorities drove them to take endeavors that risk their lives and those of loved ones. The Chinese government is claiming that they planned to join those radicals in Syria and Iraq. But they know it is not true. They know very well that Uyghurs do not have to risk their lives to travel to a foreign land to fight. Those who have had enough are fighting with their bare hands and dying. It is obvious that those Uyghurs who fled to Thailand just want to get to a safe place to live their lives. We can see that with the documented evidence in their declaration to United Nations asking for refugee status. Even if Chinese caught Uyghurs red-handed where they are actually fighting alongside with those radicals, that does not justify labeling all Uyghurs as radicals escaping one oppressor to die for another one. All of the Uyghurs who fled to Thailand are under life threatening danger from Chinese authorities and had to escape for their lives. Some of them lost their loved ones, some of them their parents and some of them lost their children on their journey to flee to Thailand. RFA: Why is China so oblivious to international public opinion -- grabbing Uyghurs from Thailand and reporting it with detailed scenes of the deportation? Kadeer: Having learned that using soft power to assimilate Uyghurs has not worked for the last 20 years, the Chinese government now is using any hard power they can muster internationally to crush the hopes of Uyghurs that one day the world will come to their help. They are also sending a strong message to Uyghurs in East Turkestan that there is no way out but to submit to Chinese oppression. Of course, this deportation of Uyghurs back to China is not only huge loss of 100 or more lives, let alone countless lives lost without a voice, but it is a significant blow to Uyghurs’ hope and aspiration. By childishly showing those Uyghurs on national television, the Chinese government is telling Uyghurs that there is zero tolerance for those who do not obey their rule and the world will not or cannot do anything about it. Moreover, the Chinese government now has the muscle and every intention to declare its superpower status to friends and foes alike. The fact that the Chinese government forced Thailand to return Uyghurs to them indicates that their sphere of influence has more weight than that headed by the West. This conflict is not a mere conflict between Uyghurs and China. It is and will always be a fight between those who values human rights and those who bow to supreme power. Chinese showed their neighbors that it can say no and win with their fight against the West and U.N. By doing that, they strategically appeased those camps that have not been on good terms with the West. RFA: What aspects of the recent deportation deserve more attention? Kadeer: First, This very action happened under such an international outcry of opposition from all interested human rights organizations, NGOs and governments. What about those who have no voice who are living in daily danger? When we reported that the Chinese government took away Uyghurs’ headscarves, cut their beards and put Chinese flags in the alcove of mosques, we were labeled as liars. Now, they should know better. This is the real China. Second, Chinese authorities celebrated this event as a success – the ability to use their economic and political power over a weak Thai government. I believe this is very scary. To celebrate a "win" over the weak and the oppressed is not the move of a sound heart and a sound government. Only those whose motive is nothing more than political power and self interest can do such a thing without a shame. RFA: At this stage, what is your expectation from the international community when it comes to the current situation of Uyghurs and to the fate of the recent deportees? Kadeer: I urge the international community to fight for the safety of the remaining Uyghurs in Thailand and those who were returned back to China. The Chinese government should be held accountable to provide proof of the returned Uyghurs’ safety and legal due process. I raise these points to international community to avoid further escalation of this dire situation and to prevent the Chinese government from using this as a new excuse to further harm friends and relatives of those Uyghurs returned from Thailand. Reported by Shohret Hoshur of RFA's Uyghur Service.